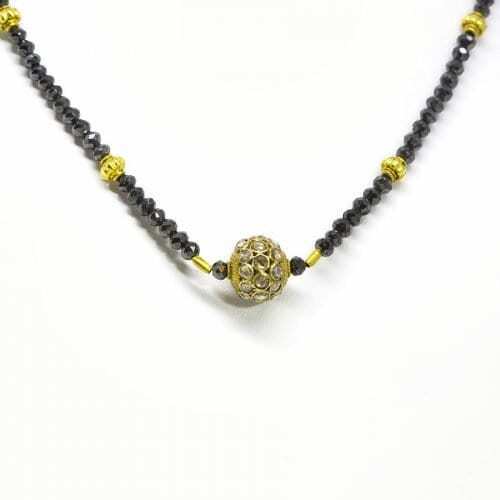 18k and 22k yellow gold necklace with black diamonds and yellow gold detailed beads. Center pendant is yellow gold with rose cut diamond clusters. 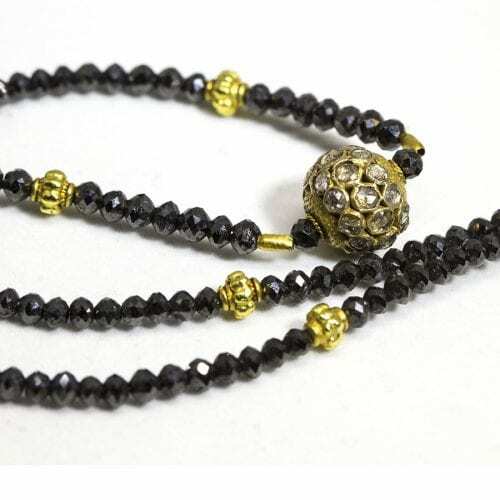 By JBird Jewelry.